Unni Menon is an Indian film playback singer. 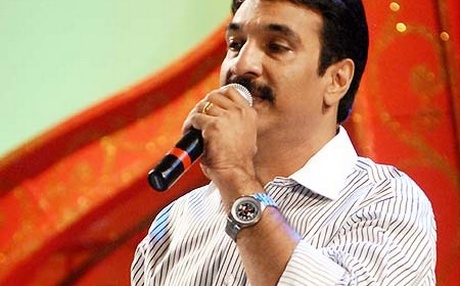 He has sung over 3000 songs in South Indian languages like Malayalam, Tamil, Telugu and Kannada. In the early part of his career, he spent many years as a low-profile playback singer. 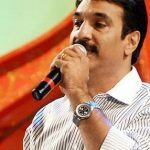 The turning point in his career came when he sang the song “Pudhu Vellai Mazhai” from Mani Ratnam’s award winning 1992 Tamil film Roja, composed by A. R. Rahman. He has frequently associated with A. R. Rahman, lending his voice to nearly 25 memorable songs from films like Karuththamma (1994) and Minsaara Kanavu (1997) Unni Menon moved to Chennai (then Madras) where he had a job in the Heavy Vehicles Factory at Avadi. Many of the prominent recording studios of South India were located in Chennai. His interest in music led him to visit these studios regularly and formed acquaintances with many prominent artists like the singer K. J. Yesudas and composer Ilayaraaja. Soon he had graduated from singing tracks for prominent singers and was becoming a singer sought after by many music directors. In 1980s he had few lone hits in Tamil film ‘Oru kaidhiyin dairy’, singing for Ilayaraja. His career got a major boost in 1992 when A. R. Rahman offered him the song “Puthu Vellai Mazhai”. That song went on to become a huge hit, as were all the other songs from the film. Since then he has sung many songs which have become big hits. In 2003, Unni Menon added a new dimension to his career when he acted and composed music for the Malayalam film Sthithi besides singing the songs in the film.